A beautifully descriptive story about love, self-sacrifice and the desperate battle to avoid extinction on a dying world. A massive cloud of hydrogen is travelling through space on a collision course with Earth. 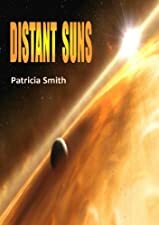 At a high-ranking meeting two astronomers, Edward and Joseph, are sworn to secrecy when they reveal that in six months’ time, as the gas envelops the planet, it will turn the atmosphere into a fireball.